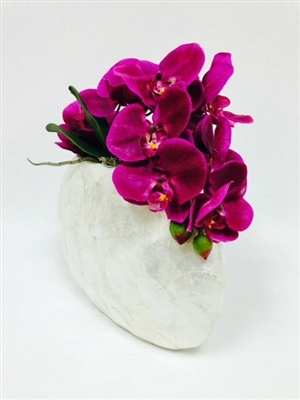 NOTE: We SOLD OUT the purple orchid flower arrangement, We have the GREEN and WHITE orchid flower arrangement ONLY. The real thing looks better than on picture. The pearl vase is one of a kind. Of course, with a High End Orchid in it looks "Simply Elegant".